The Rt Hon Dame Heather Carol Hallett DBE born 16 December 1949. She was educated at grammar schools in Hampshire and at St Hugh’s College, Oxford. She was called to the Bar in 1972. In 1989 she became a QC and was appointed as a Recorder of the Crown Court. She became a Bencher of Inner Temple in 1993. She served as Leader of the South Eastern Circuit between 1995 and 1997 and as Director of Public Affairs for the Bar Council. She was the first woman to chair the Bar Council in 1998. Her practice was general common law with an emphasis on crime. She became a full-time judge of the Queens Bench Division in 1999 and became a Presiding Judge of the Western Circuit shortly thereafter. She was promoted to the Court of Appeal in 2005. She served on the Judicial Appointments Commission as an inaugural Commissioner and then as Vice Chairman for approximately five years. 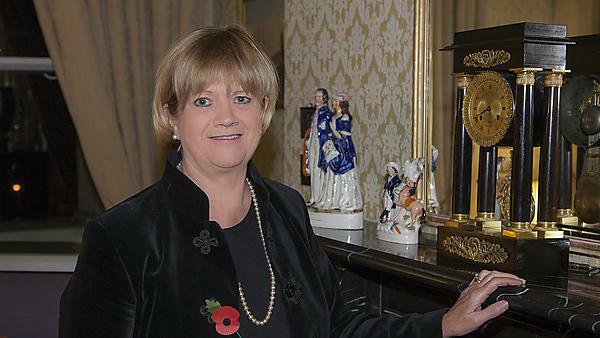 She was Treasurer of the Inner Temple for 2011. She has served as Chairman of the Magisterial Committee of the Judicial Studies Board and is currently Chairman of the Judicial College responsible for judicial training. In 2011 she was appointed Vice-President of the Queen’s Bench Division. In 2013 she was appointed Vice President of the Court of Appeal Criminal Division. Lady Justice Hallett acted as Coroner at the inquest into the deaths of the 52 victims of the 7 July London bombings. She is married to a fellow lawyer, Nigel Wilkinson QC and has two sons.